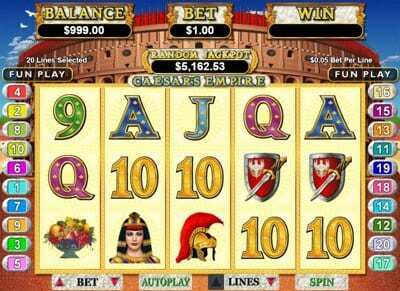 RTG (Real Time Gaming) are one of the oldest and probably most well known casino software developers in the industry. They formed way back in 1998 and since then have gone on to thrive. What’s been interesting to see with RTG is the company’s ability to offer services to players based in the USA. 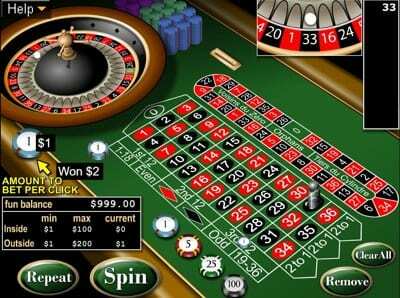 As you probably already know, the US casino industry has very limited options these days, so when companies such as RTG manage to get their software out there this shows a serious work ethic and dedication to the market. On top of that, RTG also powers casinos aimed at players in Australia, Canada and across Europe. Another plus point with the company is the ability to use their software from both a download and instant play option. The download feature is another aspect that is slowly being worked out of the industry, but many punters still like to have this option available. Realtime Gaming (not to be confused with Reeltime Gaming) have built up quite a roster of games over the years. This number now stands at over 300 according to the company themselves, and these include their newest releases harnessing the atest technology, as well as some of their classic titles from back in the day. This allows players to access a great range of titles that may range in quality visually, but all perform well in terms of gameplay. 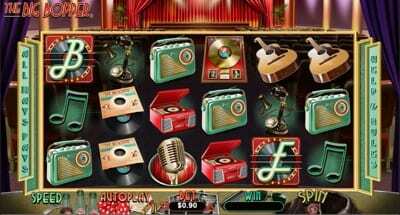 RTG used to be famous for the slots that they had on offer, with some massive titles that have since sadly fallen away; but the range of slots currently on offer still include some really great games, each with a light-hearted theme and outlook which is what many players want from their slots. The graphics are pretty slick if you look at games from the last few years, but we couldn’t help but feel that some were a little dated and could do with a polish. This applies even to the thumbnails that promote the slots, as some look like they were designed using the same software as the original Super Mario. Whilst the games vary in terms of quality, the themes that were on offer were right up there for us. Some standout games that you must try are Caesars Empire, Bulls and Bears, Builder Beaver and The Big Bopper. As you can see the titles are as random as the games, but they are fun to play and the longevity of each is surprising. Information is scarce in this department, but from our investigations, we can only see four different table games. These come in the form of French Roulette, European Roulette, Table Bingo, and Keno. If truth be told, Realtime Gaming really let themselves down with all four of these releases (Keno is OK). 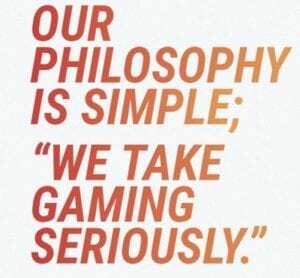 The games lack character, they are slow to load, hands per hour is way down from what they should be and the general gaming experience is poor. RTG would actually perform stronger if they didn’t have these games at all in our opinion. 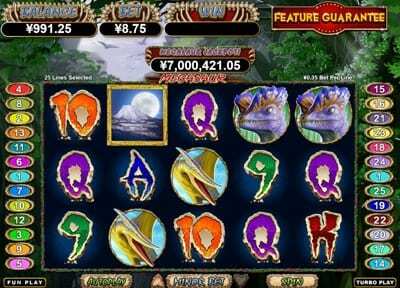 There are two decent looking jackpot games on offer in the form of Spirit of the Inca and Megasaur. Due to them being network based jackpots, the pots themselves don’t actually get all that high compared with some, but having said that, they are definitely still worth winning. The pots we have seen would be enough to buy you a good three years off work. RTG are one of the most iconic brands in the casino industry. It feels like they have been about forever and for some of you reading this, they probably have. The company started life in Atlanta Georgia, but then moved the whole workforce across to Costa Rica in 2007, taking advantage of the relieved tax laws. At the same time as the company moved, they were hit hard by the UIGEA ruling preventing the banking methods of US citizens to online gaming sites. This meant that RTG essentially had to start again and find a new customer base, but they managed to hang on and were always keen to be one of the first to allow the US public back when laws were relaxed again across the US, in certain states at least.